Enjoy sharing some Chichen Itza facts with your friends and readers using this fun infographic designed for quick learning. 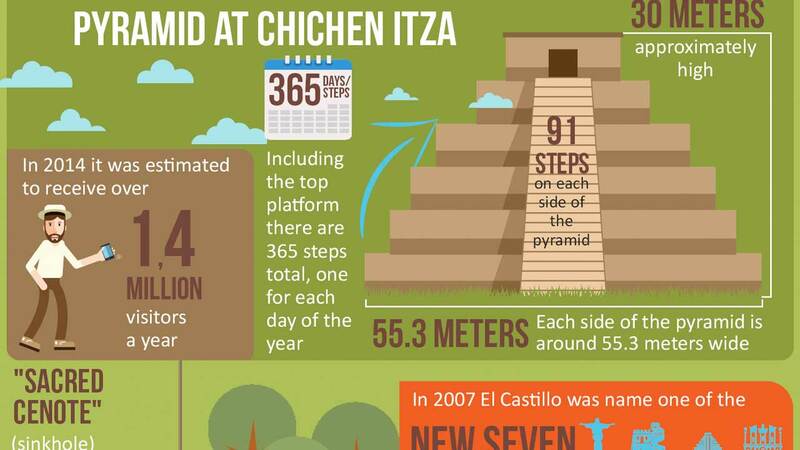 This Chichen Itza infographic helps explore some of the more interesting discoveries about the archeological ruin site. Plus it looks really sweet! Want to embed this infographic on your website or blog? No problem! Add the code in the blue box below and instantly make your page look awesome! Interested in visiting the site in person? Click the following link to find all the Chichen Itza Tour options.